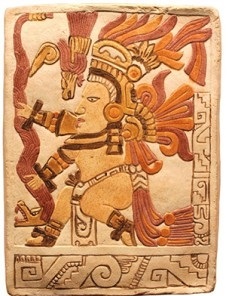 The Mayans started to produce it perhaps as early as the 3rd century B.C.E. In 1519, The Spanish conquistador Hernando Cortez discovered for Europe “xocolatl” („bitter water”), the ancient drink of the Aztecs made from cocoa beans. They would grind up the roasted cocoa beans, cleaned of their shells, grind them into a soft paste, beat it into a froth with cold water and flavour it with spices. The Spanish prepared the drink with hot water. Vanilla, cinnamon and cloves made it more drinkable. Later, they sweetened it with sugar. What kind of tree does it grow on? The base material, the cocoa bean, known as “brown gold” grows on an unusually shaped evergreen tree. Its pink blossoms, reminiscent of orchids, and its cucumber-shaped produce (yielding 30-40 beans each, in five sections) sprout directly from the trunk and the thicker branches. It originates in South America, from the virgin forests of the Amazon River. It was brought to Mexico by wandering Indian tribes. Chocolate arrived in France in 1615, as part of the dowry of Anna of Austria, daughter of King Philip III of Spain. It began its career as a medicine: pharmacists prepared it and offered it as a refreshing, strengthening substance. It found its true home as a breakfast and social drink in the court of Louis XIV. 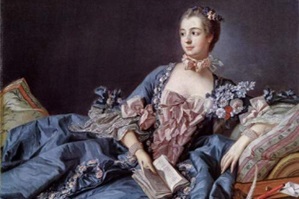 The King’s mistresses, Madam de Pompadour and Madame du Barry ascribed a special role to chocolate’s effect as an aphrodisiac. The latter flavoured it with ambergris (wax derived from whales). The famed Casanova declared hot chocolate to be the elixir of love, and valued it more highly than champagne. Chocolate became the symbol of etiquette, style and luxury. It was revered by crowned heads, writers, poets and philosophers. And by generals as well, including Napoleon. It was fashionable to make it the subject matter of scientific and literary works, and it can be found in the operas of Mozart. In the taxonomical system of the botanist Linnaeus, it received the name “cacao theobroma” (food of the gods). To eat it or drink it? Until the end of the 18th century, chocolate was consumed as a drink diluted with water, milk and, more rarely, with wine, or even fortified with eggs. Chocolate production was taken over from the apothecaries by specialised chocolate-makers, who were largely of Italian origin. The first chocolate factory was founded by the Fry Company of Bristol in 1728. Bonbons were first created by the cook-confectioner to Marshal Plessis-Praslin for the participants in the Imperial Diet at Regensburg in the 17th Century. He dipped sugar-coated almonds in chocolate, and named them pralines after his employer. Solid plain chocolate is an invention of the 19th century. Its shape was at first cylindrical, which is why it was also called the devil’s horn. 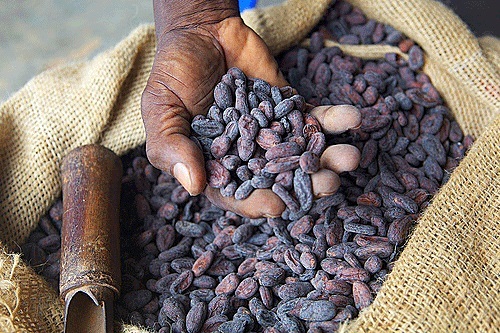 Its production was lent momentum in 1828 when Dutch chemist Conraad Van Houten produced cocoa powder and cocoa butter from pressed cocoa beans. The manufacturing technology based on combining cocoa mass, cocoa butter, sugar, spices and other flavourings came into its own with the use of steam-driven machinery, which the Swiss then developed further: in 1875, Henri Nestlé and Daniel Peter combined chocolate with powdered milk, and milk chocolate was born. Four years later, Rodolphe Lindt introduced the conching process, and chocolate became creamy. The democratisation of chocolate had begun, and a wider segment of the population was able to obtain it.